Some Robinia pseudoacacia are suffering from an unidentified disease and whilst this is not affecting all Robinia pseudoacacia, alternative golden leaved trees you may want to consider are Gleditsia Sunburst and Catalpa bignoides Aurea. Our pot grown False Acacia Frisia trees can be planted at any time of the year. Start by removing weeds and grass within a metre of your desired planting hole, that is ideally in a sheltered location. Dig a square hole as deep as your root mass and approximately 2x as wide. To help the tree establish more effectively, sprinkle root grow in the hole. We recommend planting False Acacia trees with a stake and tie kit. For single stakes, place the stake at an angle to avoid penetrating the rootmass and knock it in until it is firm. Use a buckle tie, placing the spacer between the stake and tree. Some Robinia pseudoacacia are suffering from an unidentified disease with new leaves not unfurling properly, leaves falling prematurely, branch dieback or even tree death. False Acacia Frisia trees do not require regular pruning. 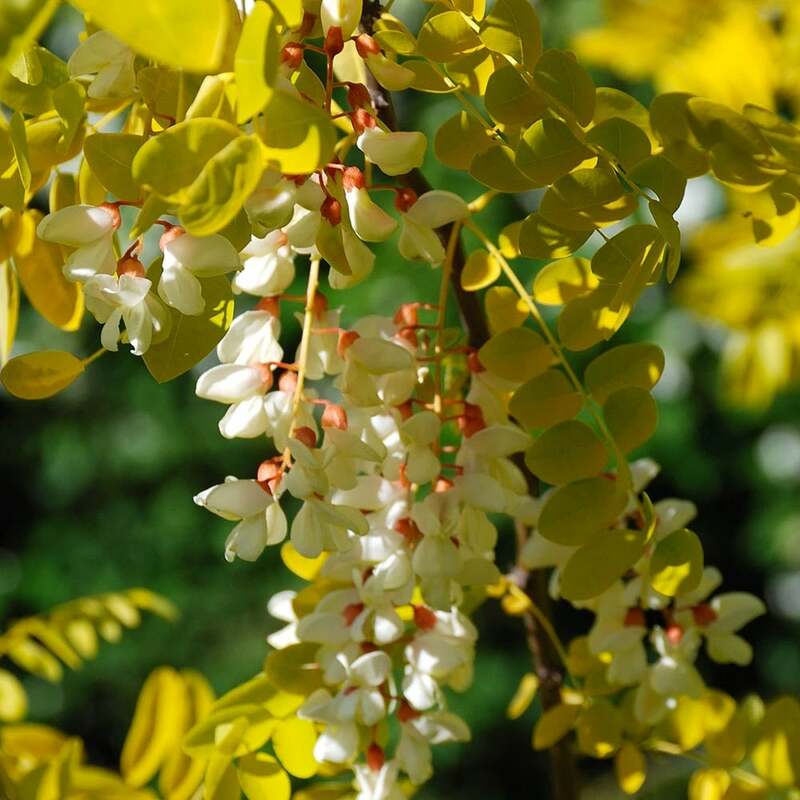 To tidy up your pink false acacia tree, you can remove any crowded or damaged branches in mid-summer, this will give enough time for the wounds to heal before the frost arrives. Make sure to wear protective gloves and long sleeved clothing when pruning False Acacia trees.